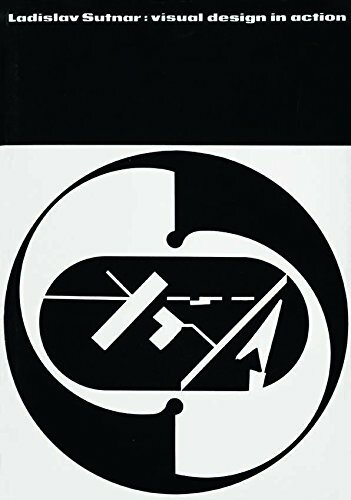 Most designers (of a certain age) have heard of Sutnar's 'visual design in action' and some might have actually handled a copy. Whether young or old everyone has seen a reproduction or two from the book, probably a color page for the addo-x company or Carr's department store. With this remarkable facsimile you can all have your own copy now. The book comes with a thirty-two page, same size booklet with an illustrated essay and extensive Sutnar biography (if you happen to buy a used copy of the book check with the seller that this extra is included) both publications come in a stiff clear plastic sleeve. 'visual design in action' is a rather extraordinary book which Sutnar paid to get printed because he couldn't convince any publisher to add it to their imprint. It seems to me that this isn't surprising, publishing in past decades and even now is still a rather conservative industry. How was he going to convince a company to publish a book set entirely in italic type, with no page numbers, requiring several different papers and thirteen inks, all of which has been copied precisely for this facsimile though it is printed by off-set litho rather than letterpress and I doubt a two hundred screen was used for the original black and white halftones. The contents are A: principles; B: US information design process; C: early modern design concepts. 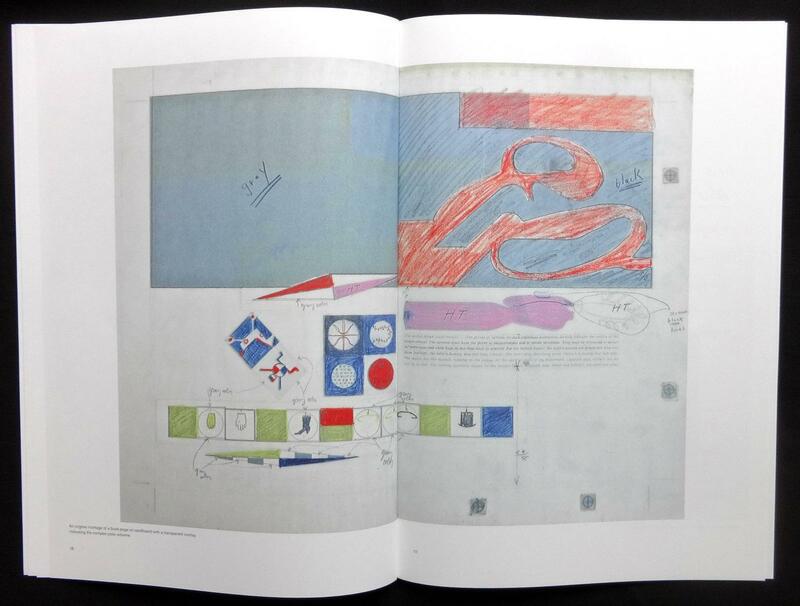 These three sections are further broken down into fifty-three spreads which have the reproductions of Sutnar's work and his text. Though the type is only seven point Ionic it's quite readable because of the generous leading. The spreads have either one long or two column blocks of type, no par indents either, these are indicated by a long dash. It's the four portfolio sections that look most impressive. Printed on matt stock: white and light ochre with various colored inks. 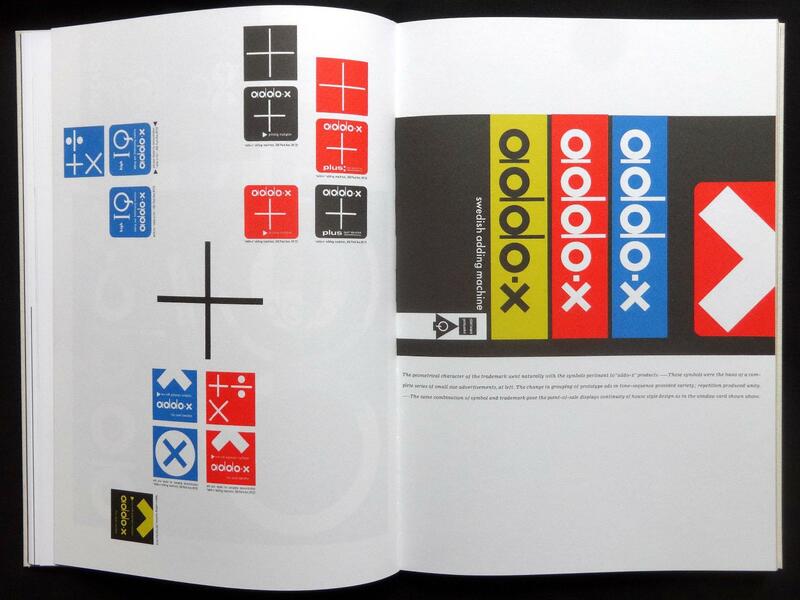 This is where Sutnar probably spent his printing money by using separate inks rather than do it all as four-color sets. The corporate work for addo-x, Carr's store and other graphics in these portfolios just jump off the page. 'visual design in action is a remarkable book full of Sutnar's work and he seems to have turned his hand to a wide range of printed material and also book binding, exhibition design, glassware, ceramics and cutlery. This facsimile of the 1961 book is an excellent reminder of a hugely talented designer and Lars Muller should be congratulated for making it available for everyone.